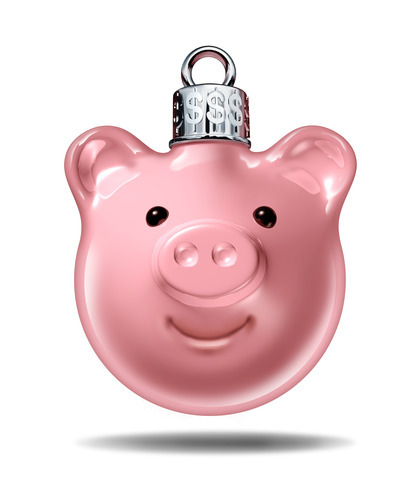 Think it is too early to think about holiday debt? It is not! September is here and before you know it, you just breezed over October and November. Once the 9th month comes in, you need to realize that you should be thinking about how you will spend your money during the holiday season. If you want to prevent debt during the holidays, the most important thing that you can do is to start preparing for it early. A little bit of planning will never lead you astray. What you have to realize is that the big expense that you make during the Thanksgiving to Christmas season should never take you by surprise. But guess what? A lot of people oftentimes find themselves unprepared for this. According to the data shown in an article from DailyFinance.com, 55% of Americans who were surveyed in September of 2013 were not saving for the holidays. It is not really a common practice to do so. Why? Because we all know that we can rely on your credit cards to pay for the expenses that you will make. While this is convenient, it is not always the safest way to make purchases. The same article revealed some disturbing data that indicated how some parents are willing to take on holiday debt just to buy their children some gifts for the season. 57% of parents are willing to make this sacrifice. But as gallant as it can be, it is also a sacrifice that is unnecessary. Those who earn less than $35,000 are willing to be in debt for up to $700. In fact, 31% of American consumers do not have a spending limit on their holiday buying. We need to stop the habit to starting our New Year with debt. If you really want to eliminate holiday debt from your future, you have to realize that early planning is the key. If you have yet to act on your holiday expenses, then do not waste any more time. You need to start getting your act together. Fortunately for you, there are ways to control holiday spending. Do not rely on your willpower alone. Make sure you prepare yourself so that you will stay out of any unnecessary holiday debt. Here are 4 ways that you can avoid this type of credit. Set a holiday budget. First of all, calculate how much you will spend during the holidays. Most of this will go to gifts that you will give to family and friends. List down all the people you will give to and set a budget for each. If you can identify the gift so you can be specific about the amount, that would even be better. But apart from the gifts, you should also consider other expenses like the household decorations, meals and any travelling that you will make. If you will go on a vacation with the family, make sure that amount is included in your holiday budget. Try to find out all the hidden holiday costs that you will encounter. That way, you will not be surprised by any unexpected costs. Figure out where you will get the money. Do you have a bonus coming up? If you will depend on this Christmas bonus, make sure that it is sure. If not, you may end up with a long list but no money to pay for them. The safest way is really to save up for it. If your expenses will be too big that you cannot save for it in time, then decide how you will boost your income to make sure you can finance it. Make your credit cards an emergency back up plan. If you can save up for it in cash, that is what you should do. Decide on your payment method. Once you know where you will get the money, you can now decide on how you will choose to pay for your holiday spending. Will you pay for it using cold hard cash? That will help you stick to your budget because once the cash runs out, you can no longer spend. Or will you use your debit card? That can also work because it will protect your cash from theft. You can also decide to use your credit card for the rewards. But make sure that you will not touch the cash that you saved up so you can pay off the debt as soon as the bill arrives. In case you prefer the convenience of a debit or credit card, make sure that you know how to protect yourself from identity theft. According to Bloomberg.com, Home Depot joined Target and Neiman Marcus Group in the list of data breach victims. Be smart and vigilant whenever you intend to use your card in any purchase. Find out how you can cut back on costs. If possible, keep on reviewing your list to see if there are somethings that you can cut back on. For instance, check if there are people that you do not have to give gifts to. Also, check out sale events and take advantage of the savings that you will get from them. By following these steps, you should be able to eliminate or at least, minimize the holiday debt that you will incur this coming season. That way, you do not have to worry about the money that you will spend. And you can enjoy the holiday knowing that you do not have any lingering debts to pay off after the season is over. When you are making your financial plans for the holiday, try to concentrate on these two expenses. Gifts. We have mentioned that this is the main expense that you will make this season. If you can think of making homemade gifts, that should allow you to cut back immensely on your budget. According to data from PewForum.org, 6 out of ten Americans planned on giving homemade gifts during the 2013 holiday season. More women opted for this gift giving solution to keep their spending low. Since you are starting early this year to prepare for the holidays, you have more time to make your gifts from home. If you can paint or have a talent for arts and crafts, then that is something that you may want to utilize. If you plan on baking goodies for your friends and give them as gifts, that is also something that you may want to prepare ahead for. Buy the ingredients in bulk if they can be stored without expiring immediately. Travels. Whether you intend to celebrate the holidays in a different country or with your folks in another state, you may want to prepare for this too. You can save on vacation expenses if you book your travel ahead of time. The early bird promos are usually offered months before the actual travel. You can also arrange to stay with family and friends to save on accommodations. Looking at your options early on will allow you to choose properly and not grab whatever is available out of desperation. Your holiday spending does not have to be met with a dreadful feeling. If you prepare for it well, you do not have to worry about holiday debt. In case you decide to use your credit card, make sure that decision will not end up in debt. If you think you cannot save up enough money to pay it off immediately, you still need to make a payment plan so you can settle that debt as soon as you can. Here are some tips from a CNN Money video about how you can deal with your holiday debt.